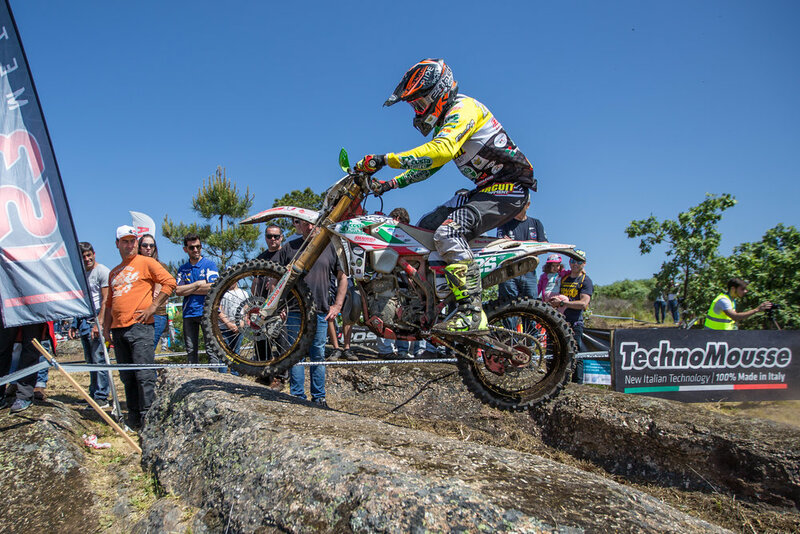 Matteo Cavallo (Beta Boano) claimed the FIM Junior Enduro World Championship in dominant style in 2018, leading the standings from the second round in Portugal and wrapping things up at the penultimate event of the season in France. Contesting his third campaign at this level, having finished ninth in 2016 and fourth in 2017, Cavallo battled hard all year with compatriot Andrea Verona (TM), the Italian pair often pushing the results and test times beyond Junior ranks and well up the running order in the senior EnduroGP classes. After sharing a win apiece with Verona at the opening round in Spain, Cavallo took control with a double at Castelo Branco and after conceding the day one win to France’s Theo Espinasse (Sherco) in Estonia he never looked back, putting together six consecutive victories. Needing just a third place on day one in Méthamis to wrap up the title with a round to spare, the 22-year-old typically went on the attack and won the opening day by more than thirty seconds ahead of British rider Joe Wootton (Husqvarna) and Verona. Cavallo, who first came to international attention in 2017 when he became the first Junior rider ever to win an Italian Enduro Championship race outright - beating a field full of FIM World Champions like Matt Phillips, Alex Salvini, Steve Holcombe and Giacomo Redondi - will now go on to rub shoulders with the stars of EnduroGP in 2019.